For businesses in many types of industries, waiting 30, 60, or 90 days for payment is the standard operating procedure. Unfortunately, just because long billing cycles are to be expected, that doesn’t mean business owners can’t run into cash flow shortages while they’re waiting to be paid. When this happens, many business owners choose invoice factoring to get the money they need to keep their business on track. With invoice factoring, a business’s outstanding invoices are sold at a discounted rate to a third party known as a factor. Your customers then pay their bills to the factor instead of your business. Once your customers have paid their bills in full, the factor pays you the difference between the full value of the invoices and what they paid you for them, minus a fee. This financing method is commonly used by businesses that need to free up working capital to work through temporary cash flow shortages and cover short-term business expenses. What’s the Difference Between Invoice Factoring and Invoice Financing? Invoice financing is a loan based on the amount of your outstanding invoices. Invoice factoring, on the other hand, is a transaction, not a loan. Since the invoices are sold to the factor, the business owner does not actually incur debt by using it. With invoice financing, the business owner is still responsible for collecting from their customers, but with invoice factoring, the factor assumes that responsibility. 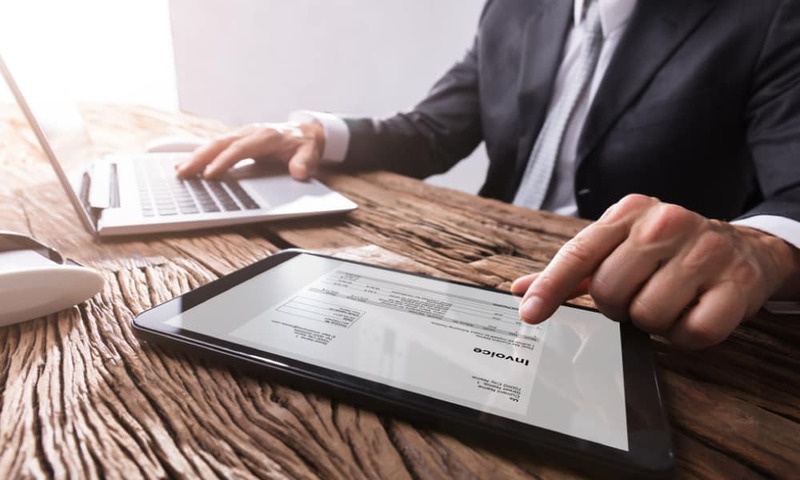 Compared to a traditional business loan, invoice factoring is much easier to apply for and has a faster approval process, which makes it an option for covering unexpected or emergency expenses. It can also be more accessible for smaller and younger businesses that might not have an easy time getting funding through other methods of business financing. Your business credit score is less of a factor with factoring than it is for many other types of business financing. Since your customers will be responsible for paying the factor, the factor will be more interested in your customers’ credit scores and their payment histories. However, this can be a disadvantage if you’re trying to factor an invoice for a customer who has a history of being difficult about paying their bills. Since the factor becomes responsible for collecting money from your customers, invoice factoring helps you get the money you need and allows you to worry less about collecting from customers so you can focus more on your business. Although invoice factoring is very widely used by profitable businesses, some customers may get the wrong impression about your business’s stability if another company becomes responsible for collections. Factors will only buy invoices that are due in the very near future, typically within 90 days or less. You will not be able to factor past-due invoices. Not all types of businesses are ideal candidates for factoring. Invoice factoring is most commonly used by businesses with a B2B model and businesses in industries that traditionally have very long billing cycles, such as manufacturing, retail, textile, construction, and logistics. Interest rates for invoice factoring are generally higher than they are for other types of business financing. There are two main types of invoice factoring: recourse and non-recourse. Recourse factoring is the most common type of invoice factoring in the United States. Recourse factoring involves an agreement that if your customers do not pay the factor, the business owner is responsible for compensating the factor. With non-recourse factoring, the factor assumes all the risk and if the customer fails to pay, the business owner does not owe anything to the factor. Unlike other types of business financing, factoring places more of an emphasis on your customers than on your business. Factors will need to see that your customers have a strong history of paying their bills in a timely manner and have good business credit scores. But factors will also need to make sure your profit margins are strong and that there aren’t any problems that could interfere with their ability to collect, such as liens, bankruptcies, or tax problems.